Unpacking Media Effects Theory: What does media ‘do’ to audiences, rather than what does the audience do with media? 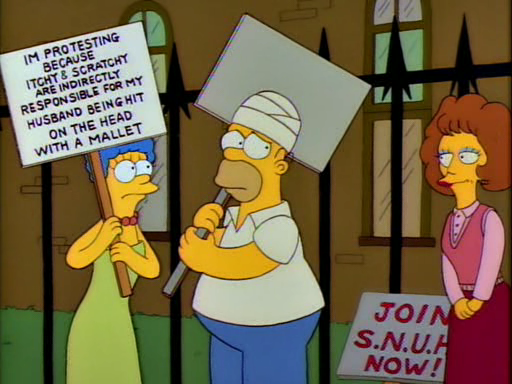 This episode of The Simpsons (where Marge crusades against cartoon violence) is a good example of a satirical rendering of a serious media issue. This is an example of a media text you could discuss in your own blogs. This week’s reading is ’10 things wrong with the Media Effects Model’ by David Gauntlett. You can find this on the BCM 110 Moodle site under Week 2. Topic for blog post this week: Describe a time when you were part of a media audience. How did the experience make you feel? What was useful or pleasurable about this experience? Were there any negatives? *trigger warning: violence* Another source which may be useful to you: how violent media (video games) are blamed for real violence.